For years now, officials in Riyadh and Abu Dhabi have been angry over what they perceive to be Qatar's rogue, activist foreign policy. The Arab states of the Persian Gulf are in the grips of an unprecedented regional crisis. In Monday's early hours, Saudi Arabia, the United Arab Emirates, Bahrain and Egypt released coordinated statements, announcing a diplomatic break with the tiny-yet-wealthy peninsular nation of Qatar. They cut air, sea and land links and ordered Qatari officials and nationals stationed in their countries to return home. Qatar, with just over 300,000 citizens, has played an outsize role on the world stage because of its great wealth of oil and natural gas. Global oil prices wobbled Monday as both sides dug in their heels. Already, panic over a Saudi blockade of Qatar's only land border saw supermarket shelves in Doha cleaned out by spooked residents. 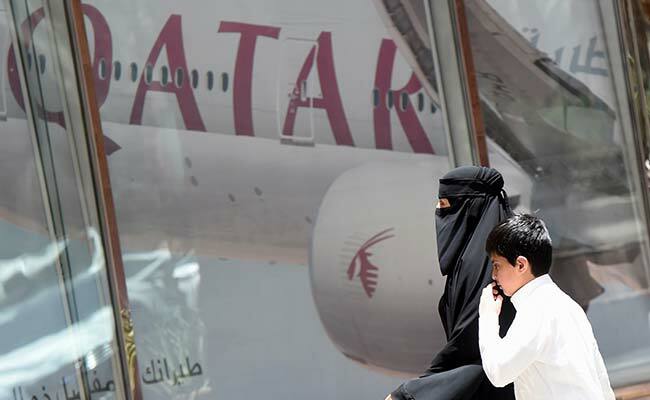 The move is a reflection of long-running frustrations with the Qataris, who the Saudis and Emiratis claim are supporting terrorist groups as well as being far too cordial with Iran, their regional archrival. A complicated and uncertain state of affairs is playing out, with far-reaching stakes - Qatar, after all, is home to a crucial forward base for U.S. Central Command. Here's our attempt at a quick primer on what you need to know. For years now, officials in Riyadh and Abu Dhabi have been angry over what they perceive to be Qatar's rogue, activist foreign policy. Unlike neighboring Bahrain, for example, which largely toes the Saudi line, Qatar has diverged from other members in the Gulf Cooperation Council, a bloc of six Arab monarchies, and used its vast coffers to project its own influence far and wide. After the political upheavals of the Arab Spring, for instance, Qatar aligned itself with Islamist political parties such as Egypt's Muslim Brotherhood, believing it right to back movements with genuine popular support. Much to the ire of its neighbors, Qatar's state-funded news network Al Jazeera also seemed to take up the cause of these groups, often championing democracy and dissent in a region ruled by secular autocrats or unaccountable royals. And Qatar was among the most active backers of Islamist fighters in rebellions in Syria and Libya. Now, Qatar's critics say it has failed to rein in its support for certain Islamist militant groups - including Hamas and the main al-Qaida-linked organization in Syria. The Qataris were also accused of backing Yemen's Houthi rebels, a startling claim given that Qatar, until the day before, was part of the Saudi-led coalition fighting the Houthis, who are loosely backed by Iran. "The countries of the region can be divided into two camps: one that seeks to advance its foreign interests through support of Islamists, and one whose foreign policy is guided by opposition to the rise of Islamists," wrote Middle East expert Hassan Hassan. Qatar, in Hassan's scheme, falls into the former camp, while the Saudis and Emiratis are in the latter. Qatar's foreign ministry called the measures "unjustified" in a statement and said the decision to sever ties was a violation of the country's sovereignty, and "based on claims and allegations that have no basis in fact." Saudi Arabia and, to a lesser extent, the U.A.E. also support various rebel groups and Islamist factions in Middle East conflicts. But the two countries have stood against political Islam in places like Egypt, championing current President Abdel-Fattah el-Sissi, who came to power in a 2014 coup that ousted the ruling Muslim Brotherhood and was followed up by a vicious, bloody crackdown on Islamists. The embattled Yemeni government, which is almost wholly propped up by Riyadh, the Emirati-backed leadership in eastern Libya and the Indian Ocean archipelago of the Maldives - whose president increasingly seems a Saudi client - all joined the break in relations with Qatar. The U.A.E., in particular, has bridled at Qatar's continued role in backing Islamists in Libya and elsewhere and appears to have led the charge in pushing for Qatari isolation. But that doesn't explain why this is happening now. There are a number of theories for why things have drifted toward such an extreme. Two separate possible hacking incidents have framed the escalating feud. First, a statement was posted on an official Qatari site that attributed comments to the emir that were sympathetic to Iran and Shiite militant group Hezbollah. Even after the Qataris rejected the report and said it was the creation of hackers, Saudi and Emirati outlets continued to spread it as fact. Meanwhile, the leaked emails of the Emirati envoy in Washington seem to show his country's long-running desire to counter Qatari influence. Some experts believe Mohammed bin Zayed, the influential crown prince of the emirate of Abu Dhabi, has found a willing and eager partner in the youthful Saudi deputy crown prince, Mohammad bin Salman, who has presided over Saudi Arabia's marked foreign policy assertiveness in recent years and pushed for a regional anti-Iran alliance. In a fascinating tidbit reported by the Financial Times, Qatari officials apparently paid close to $1 billion in ransom for the release of a Qatari falconry party abducted while hunting in southern Iraq. The bulk of the funds allegedly made their way to Iranian officials and affiliated Shiite militias - payments that were "the straw that broke the camel's back" for Qatar's critics in the Gulf, according to a source quoted by the British newspaper. But a leading driver also has to be President Donald Trump, whose friendly visit to Riyadh last month and embrace of the Saudi agenda in the Middle East seems to have emboldened officials there. The Saudis and Emiratis, said Andrew Bowen, a visiting fellow at the conservative American Enterprise Institute, "saw this as a key moment after Trump's visit to bring Qatar to heel." According to a leading Emirati journalist, officials in Abu Dhabi want to extract huge concessions from Doha, including the shuttering of Qatari media outlets abroad and the abandoning of Qatar's independent, maverick foreign policy. It's hard to gauge what happens next. Two GCC countries caught in the middle of the spat - Oman and Kuwait - may try to exert what limited clout they have to push for a compromise. The United States could do so as well, though the Trump administration made little meaningful comment about the impasse on Monday. It may have to, though, given that the sprawling al-Udeid air base on Qatari soil is a pivotal staging ground for U.S. counterterror operations. Beyond U.S. support, Qatar has significant fiscal reserves, retains the political support of the Turkish government and is a key energy partner for countries like Russia and China. The Saudis and Emiratis may realize that isolating Qatar is no easy feat. "They think they can strangle Qatar and get it to capitulate," said Theodore Karasik, a senior analyst at Gulf State Analytics, to BuzzFeed News. "This could backfire on them completely. The number one problem is that it will force Qatar to seek new security partnerships with Turkey. Doha can also turn to Iran." "I do worry that they're going to misjudge each other's positions, which could lead to this conflict taking a little bit longer to play out," Bowen told Today's WorldView. The spat also dramatizes the complexity of the divisions in the Middle East, which commentators in the United States often try to reduce to a simple binary between a Sunni Arab-bloc led by Saudi Arabia and Shiite Iran. "The tension between Qatar and its neighbors shows that the old geopolitical lines can no longer explain the Middle East," wrote Hassan. It remains to be seen how Trump, who exulted in his grand, lavish reception in Riyadh, will reckon with this challenge. After all, the White House insisted the president had "united the entire Muslim world in a way that it really hasn't been in many years," as one Trump aide put it last month. This week's events show how laughably false that assertion was.